This week’s Casting News is full of trailers and new projects. With San Diego Comic-Con last weekend, several trailers have been released and more in-depth story lines divulged. Are you a fan of David Tennant? Sir Michael Gambon? Helena Bonham Carter? Well, we’ve got something for all of you! Check out all that and more in this week’s Role Call! While we all wait anxiously to find out who Negan killed in The Walking Dead (I can’t handle it anymore! ), AMC released the trailer at San Diego Comic-Con last weekend for the second half of Fear the Walking Dead‘s second season. This spin-off show stars Frank Dillane, who played Tom Riddle in Harry Potter and the Half-Blood Prince, as Nick Clark. If you need a recap, Fear the Walking Dead‘s Season 2 mid-season finale ended with the group being divided and the Abigail estate being set ablaze. Basically the big cliffhanger of the finale was whether or not Daniel was still alive after setting the house on fire. Fear the Walking Dead returns for the second half its second season on August 21! Watch the trailer that was released at Comic-Con last weekend below! Ralph Fiennes (Lord Voldemort) has signed on to perform De Profundis at the Reading Prison. Oscar Wilde wrote De Profundis in his cell at the same prison, so it is only fitting that it be performed every Sunday in the prison chapel. This performance is part of an arts festival taking place at the prison, in which artists and writers will showcase a variety of projects. If you wish to listen to an abridged recording of De Profundis being performed in Wilde’s old cell, it will be broadcast on Radio 4 on September 11. 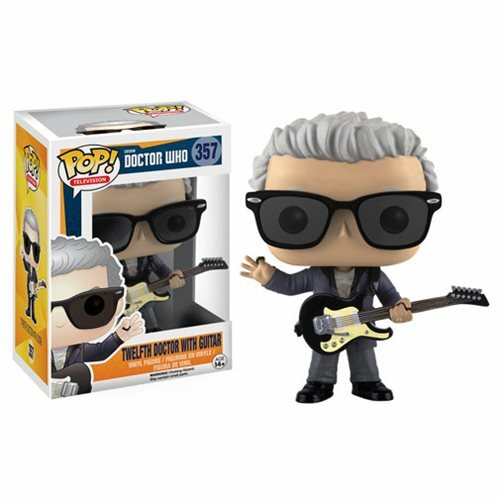 Calling all Funko POP! lovers! 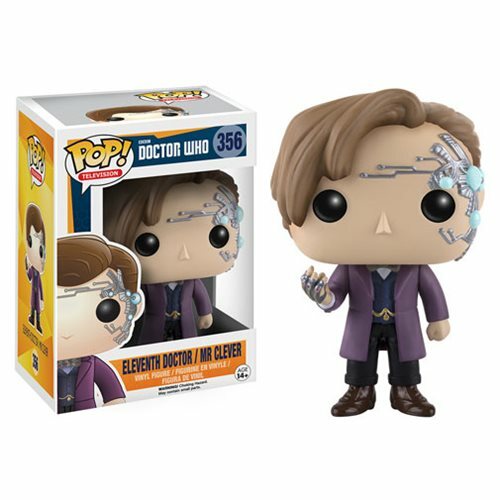 New Doctor Who figures will be released this September, including a figure of David Tennant (Barty Crouch Jr.) as the Tenth Doctor and of John Hurt (Ollivander) as the War Doctor. 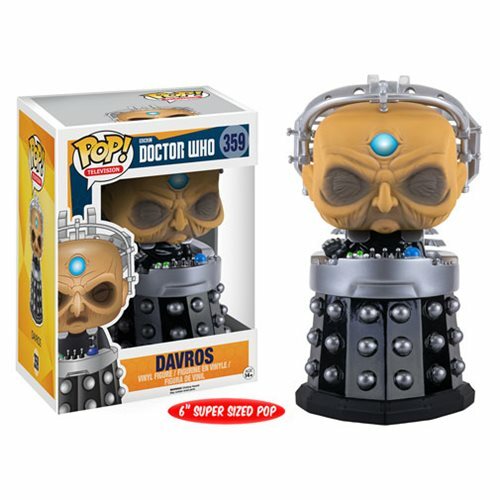 Other figures being released in the same line include the Eleventh Doctor, Twelfth Doctor, and Davros. The new figures will be released in September, but you can preorder them here, or if you live in the UK, here. Helena Bonham Carter (Bellatrix Lestrange) has signed on to lend her voice to the upcoming animated film Sgt. Stubby: An Americam Hero. Bonham Carter will voice the character of Margaret Conroy, the sister of WWI soldier Robert Conroy. It was the dog of Robert Conroy, Sgt. Stubby, that became the most decorated canine solider of WWI. I’m thrilled to be involved in ‘Sgt. Stubby’, a film that cannot fail to capture and touch the hearts of children about the most incredible courage of an incredible dog, whilst also introducing them to the all-important piece of history that was the 1st World War. The film is expected to be released in theaters in April of 2018, when the true story of Sgt. Stubby will both entertain and inform young audiences around the globe. Daniel Radcliffe‘s upcoming film Imperium finally has a release date! On September 23, the film will hit big screens all over the UK! The movie, which stars the one and only Harry Potter himself, is inspired by real experiences of ex-FBI agent Michael German. Taking on the main role, Radcliffe will star as Nate Foster, a young FBI agent forced to go undercover. As you can see below, this film looks like his most powerful performance yet. Look how tough he looks! I was cycling home very late singing to myself at 4am and the verses just started happening in my mouth but with no flow. Next morning I went to Adam’s house (our guitarist and producer) to fix it and give it structure. Adam got out of me what I was trying to say and added all the pieces together. It stemmed from this large Jamaican woman who consoled a drunk silly 17 year old me on my birthday (wearing a small mermaid outfit) after getting dumped for the first time at Clapham South. It’s an ode to her. If you want to read the whole interview, go this link! Natalia’s “If I Knew,” which was released on July 29, is absolutely fantastic and vibrant and somehow made me crave a smoothie… Check it out below and try not to dance all the way to the nearest Jamba Juice. Sometimes things do not go according to plan in the theatre. Who would have predicted that both Richard and Tom would sustain such unexpected injuries during the same run of this play? Our job is to help make sure that they both make the best recovery possible, whilst working as hard as we can to provide a great show for audiences, which is why I could not be more thrilled to welcome Freddie Fox into the company. An old friend of many of the cast, Freddie is a talented and exciting actor who will no doubt bring much to the role of Romeo. As Richard’s ankle improves and he is able to play more performances we look forward to completing the run with both of these wonderful artists. But have no fear! There is still a chance for you to see the fabulous play even after it stops running at the Garrick! The Kenneth Branagh Theatre Company‘s performance of Romeo and Juliet broadcast to more than 1,200 cinemas on July 7. Lucky for us, Picturehouse Entertainment and Fiery Angel will bring Branagh Theatre Live: Romeo and Juliet to cinemas around the United States from August 3 to October 22. If you would like to see this once-in-a-lifetime event, get your tickets at Fathom Events! Sir Michael Gambon (Albus Dumbledore) has joined the cast of My Name is Lenny, a story following Lenny ‘The Guv’nor’ McLean, a London hard-man, actor, and criminal. The film is due for a 2017 release, when we will see a whole slew of actors including Josh Helman and Decca Heggie. Lichfield Cathedral will host an event called Before Action to mark the anniversary of the Battle of the Somme from August 4 to 6. Taking part in this event is Eddie Redmayne, who will make his debut in November as Newt Scamander. Recordings of Redmayne’s poetic voice reading war poetry at Lichfield Cathedral will be played during the event. Get a sneak peak below! Man! He is good. Eddie Redmayne has also joined the cast of The Last Days of Night, a movie from the writer/director team behind The Imitation Game. The movie is based on Graham Moore’s book that chronicles the battle between Thomas Edison and George Westinghouse in the race to patent the technology of electric light. Redmayne will play lawyer Paul Cravath, a recent Columbia law school grad and untested lawyer who was hired by Westinghouse as legal representation. As The Last Days of Night has only just begun casting, we will update you when production begins and a release date is chosen. The first photo from Jim Broadbent‘s (Horace Slughorn) upcoming film The Sense of an Ending was released a couple of weeks ago. Tony Webster (Jim Broadbent) leads a reclusive and quiet existence until long buried secrets from his past force him to face the flawed recollections of his younger self, the truth about his first love (Charlotte Rampling) and the devastating consequences of decisions made a lifetime ago. The film features a whole host of your favorite UK actors and will open in theaters later this year. Jim Broadbent’s other project, Asterix: The Mansions of the Gods, has just released its first UK trailer! The film will be released in UK theaters in both 2D and 3D on August 19. Check out the trailer below and let us know in the comments what you think of Broadbent’s portrayal of Caesar! The first image from Film Stars Don’t Die in Liverpool was revealed a couple of weeks ago. So, why does this matter? WELL, for those of you who don’t know, the film stars Julie Walters (Molly Weasley), and behind the scenes is the fabulous Harry Potter costume designer, Jany Temime. The film is currently in production, but the Film Stars Don’t Die In Liverpool set report will be published later this year. What’s on TV did an interview with Toby Jones (voice of Dobby) in which he discussed his new BBC drama, The Secret Agent. Vicky McClure and I play husband and wife, Adolf and Winnie Verloc, it’s a strange household – Winnie’s mother and brother Stevie live with them, but she treats her brother like a son because of his needs. It’s like Verloc is a lodger. At the end of the first episode you see the strange harmony of this hybrid family beginning to fall apart. Toby Jones is also set to appear in BBC’s Sherlock as a villain. In the interview, he doesn’t give a lot away about his character, but he said the part was written for him and that it is a very good villain who’s already known. He’s not allowed to say much about that particular role, but you can expect an awesome performance! The Secret Agent began on July 17 on BBC. Who’s already seen it?! Check back next week for news about your favorite Harry Potter alum! Until then, weigh in down below on what your favorite upcoming projects are! September 1, 1998 – Harry Potter and the Sorcerer’s Stone is published by Scholastic in the United States. J.K. Rowling received $105,000 from Scholastic for the American rights. This was very rare for an unknown (at the time) author.